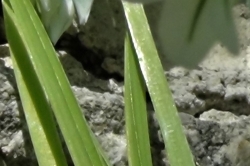 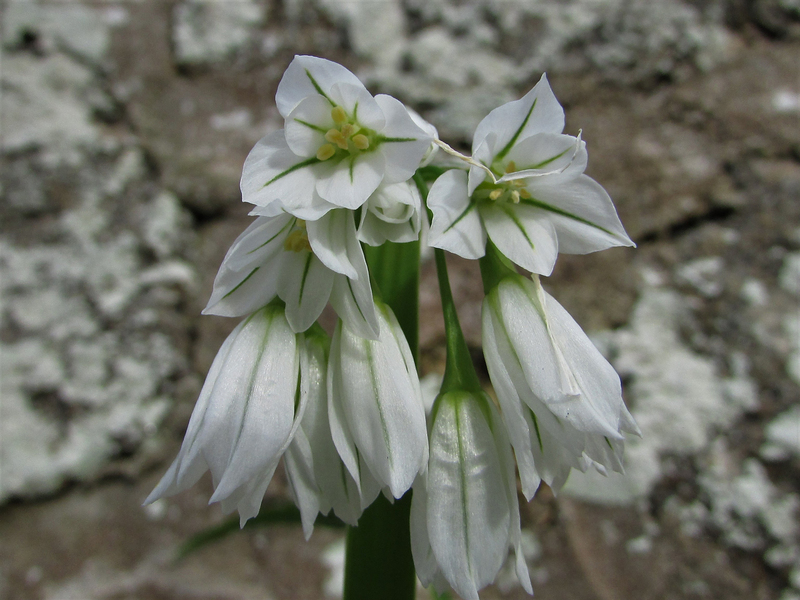 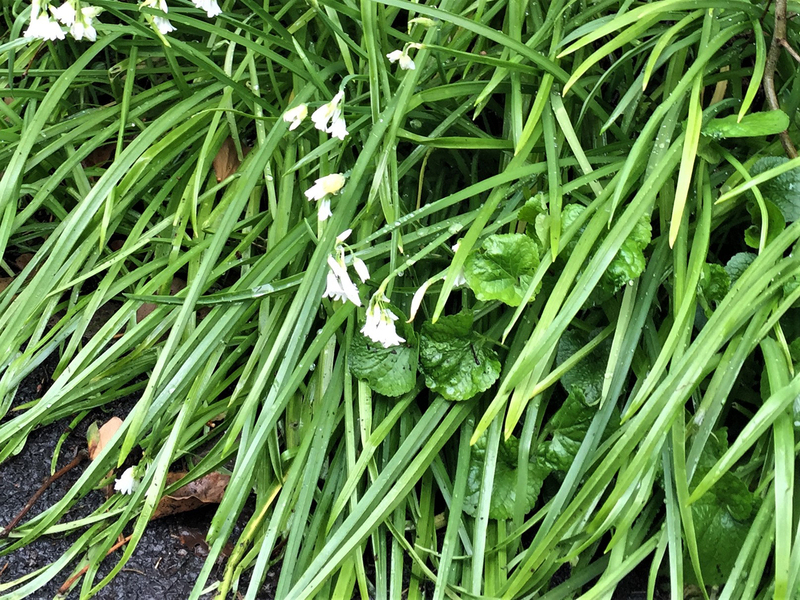 The greens stripes on the petals help differentiate three-cornered leek from few-flowered garlic or snowdrops. 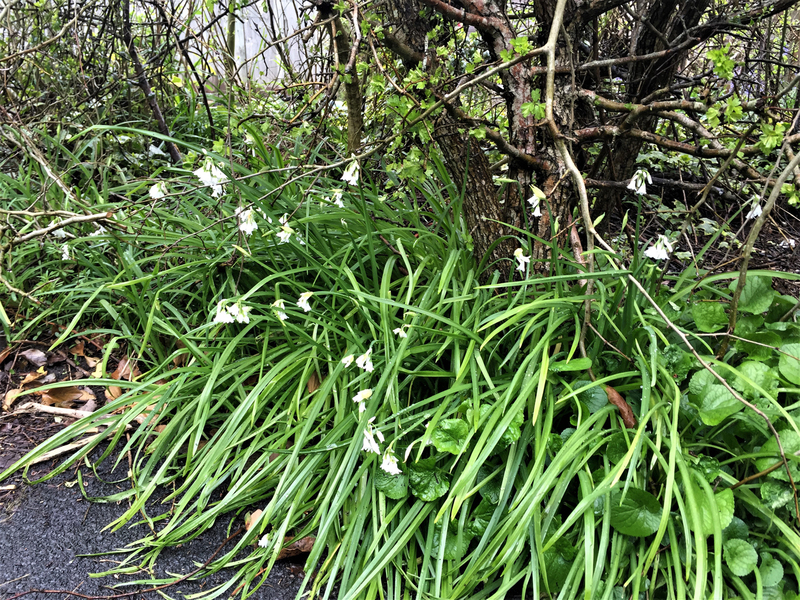 An invasive species brought over to the UK from the Mediterranean, it is an offence under Schedule 9 of the Wildlife and Countryside Act in England and Wales to plant or otherwise cause to grow this species in the wild. 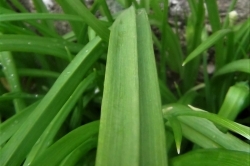 Long, thin and green which if looked at in profile is a very shallow ‘V’ shape. 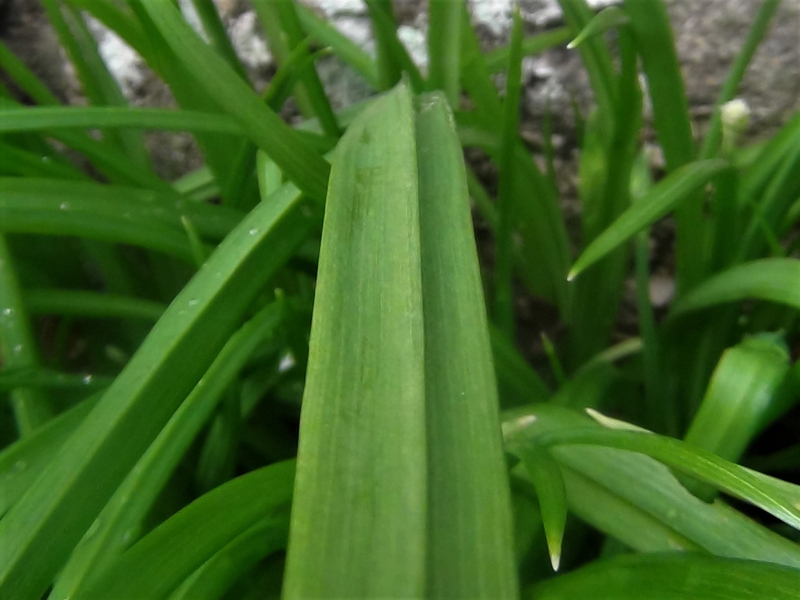 The leaf here is showing the underside. 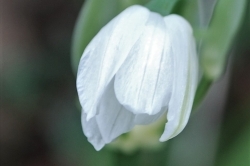 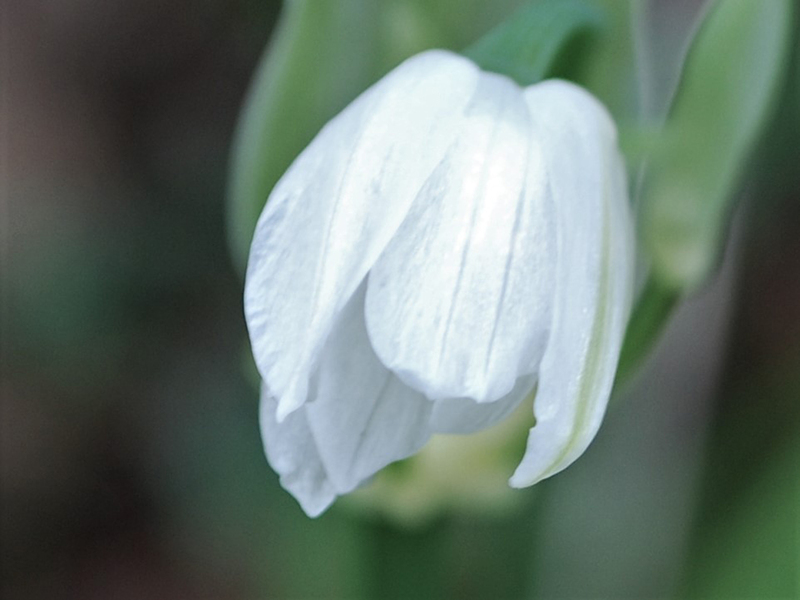 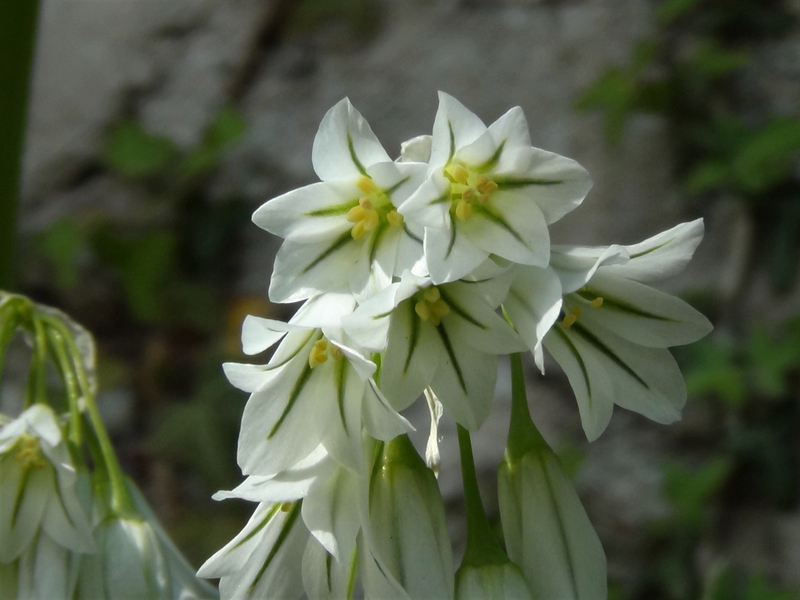 Hanging in clusters very much like a white bluebells with six petals, each with a green stripe, and flowers from April to June. 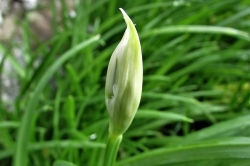 A lanceolate sheath covering the unopened flower. 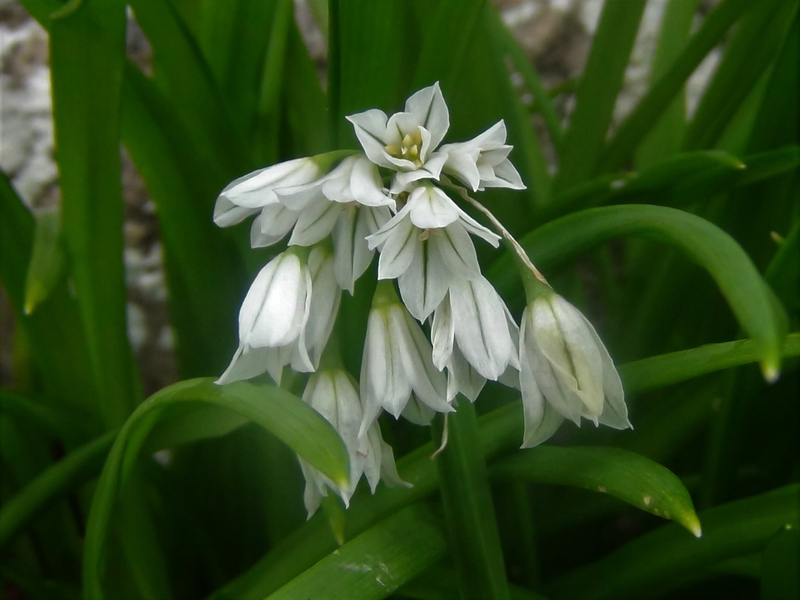 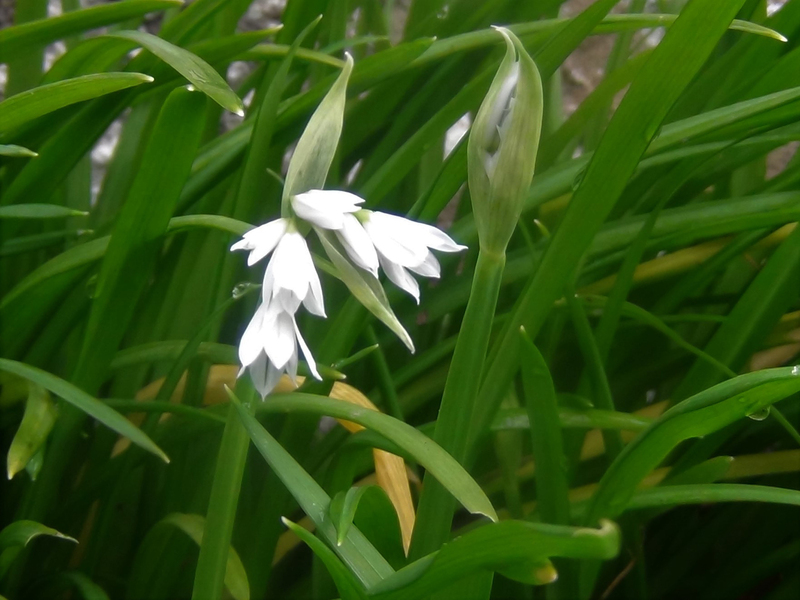 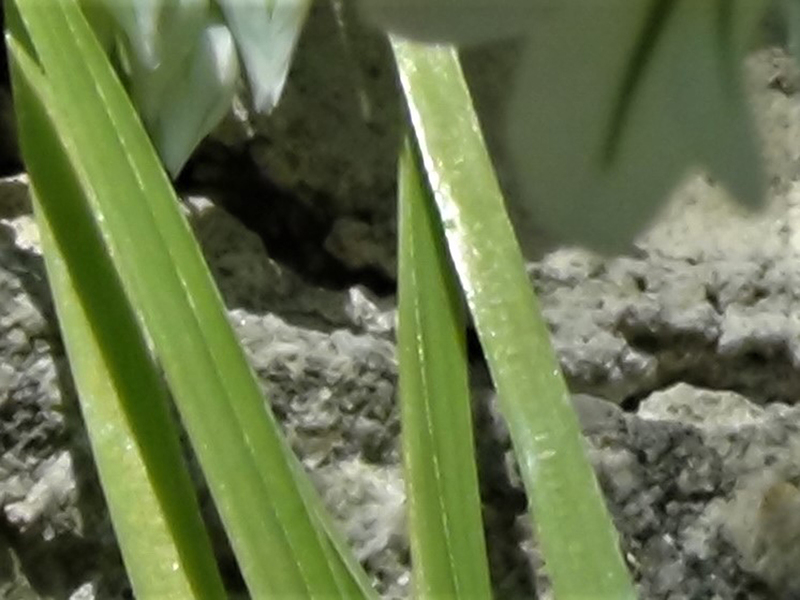 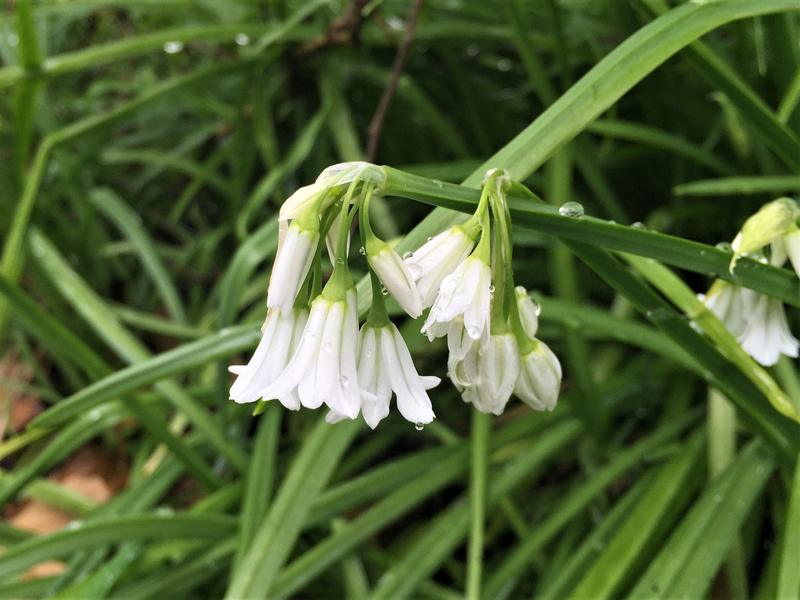 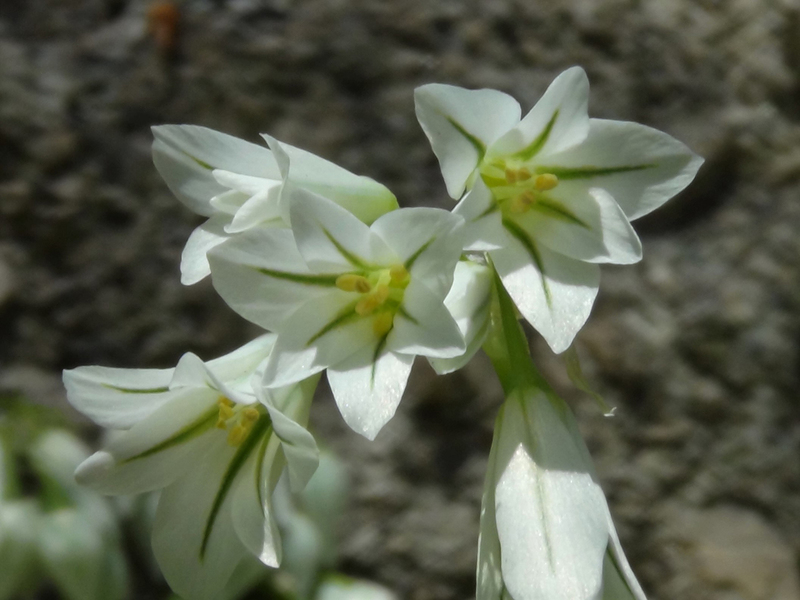 The flower stem is like the leaves but more triangular in profile than the leaves, hence the common name, Three-Cornered Leek. 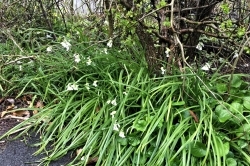 Hedgerows, verges, woodland edges, field edges, waste ground and peoples flower beds. 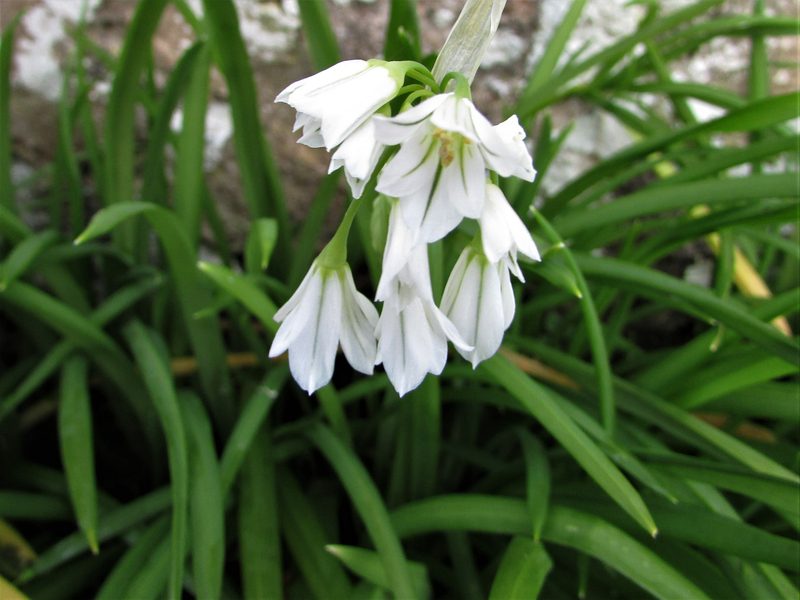 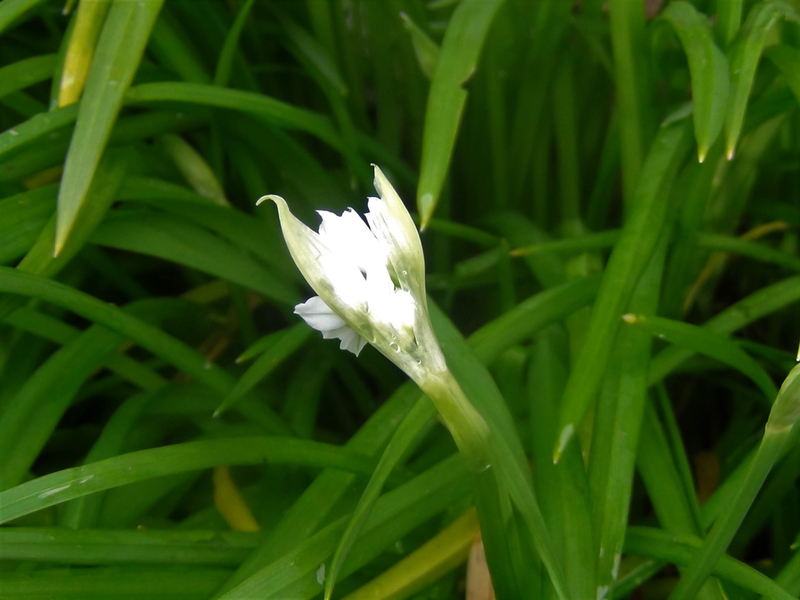 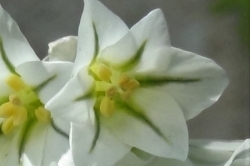 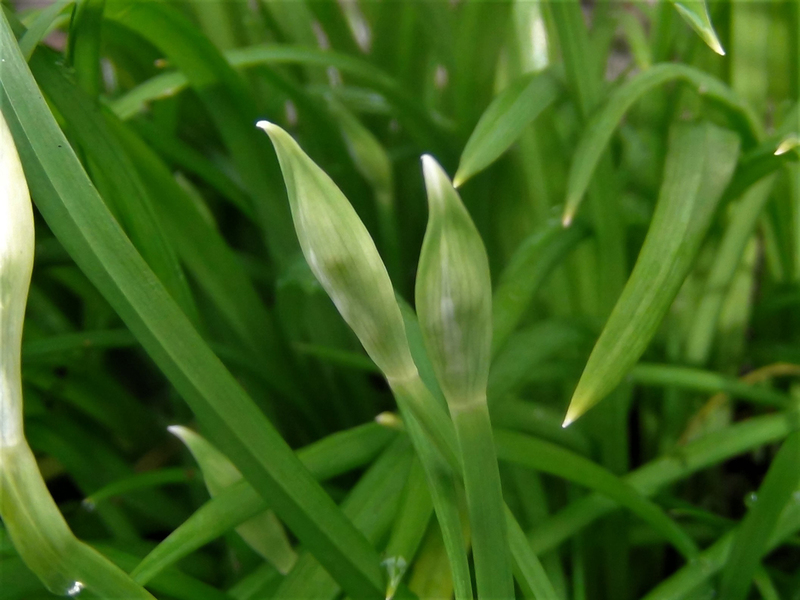 Few-Flowered Garlic, pictured, is very similar but has plain white petals and develops bulbils after the flowers. 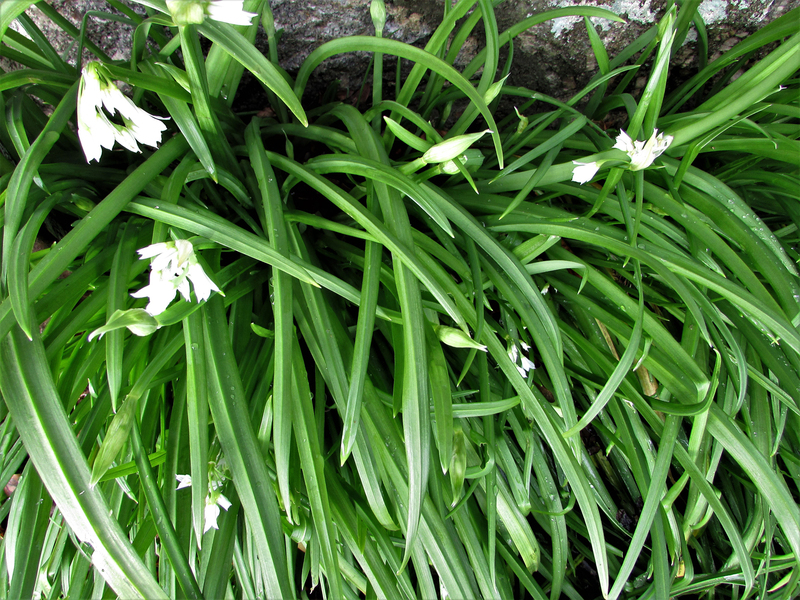 Snowdrops, young bluebells, young daffodils or some lilies but none of these smell of garlic or onion. 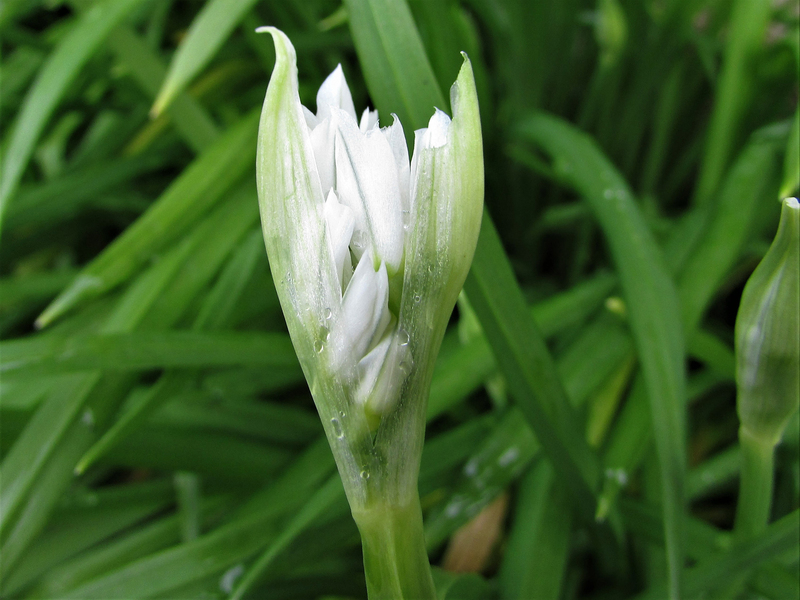 A bit like spring onion or baby leeks or chives. 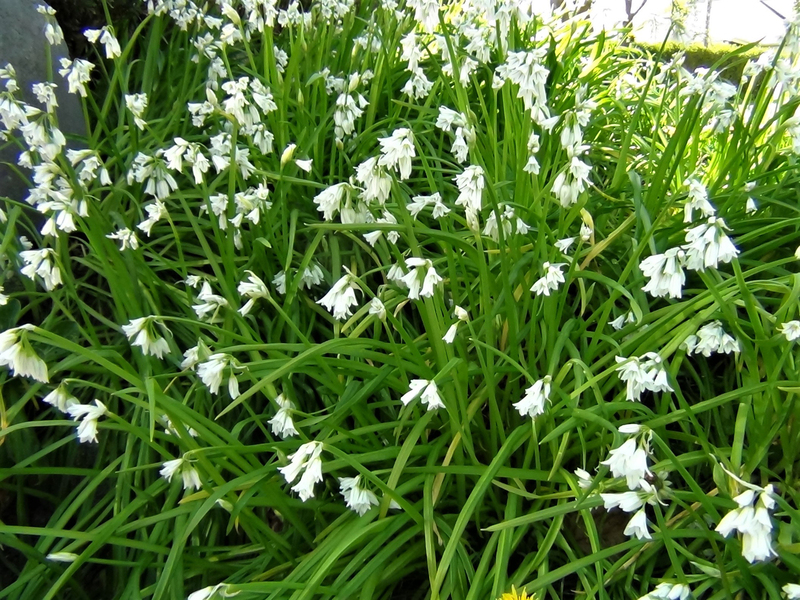 Fairly uncommon but prolific where established and spreading fast. 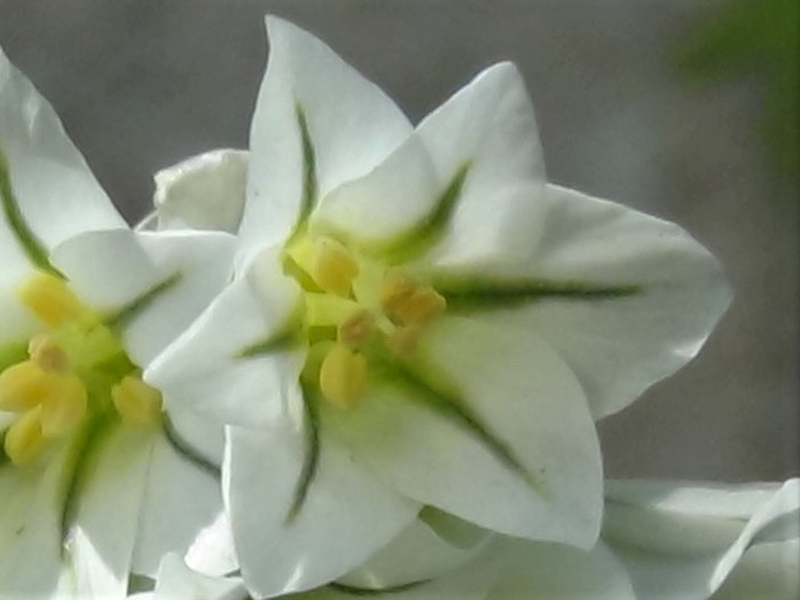 All of the plant is edible. 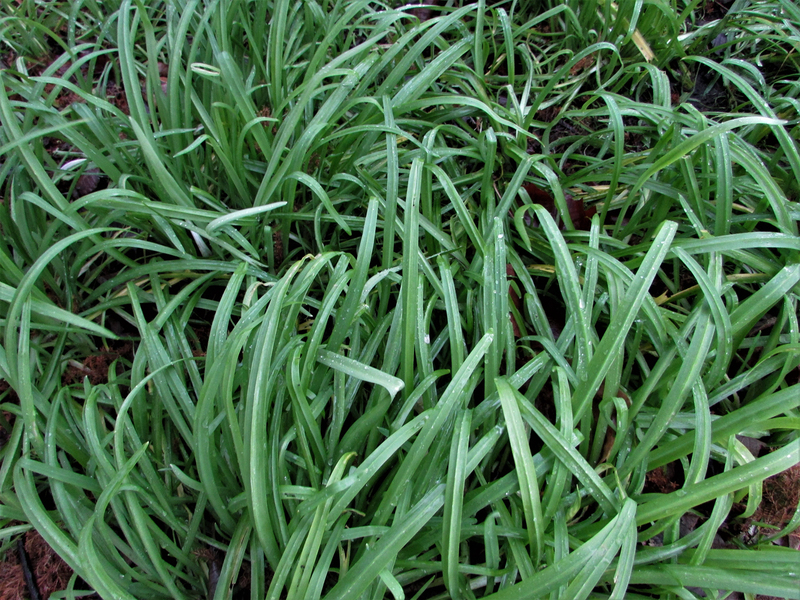 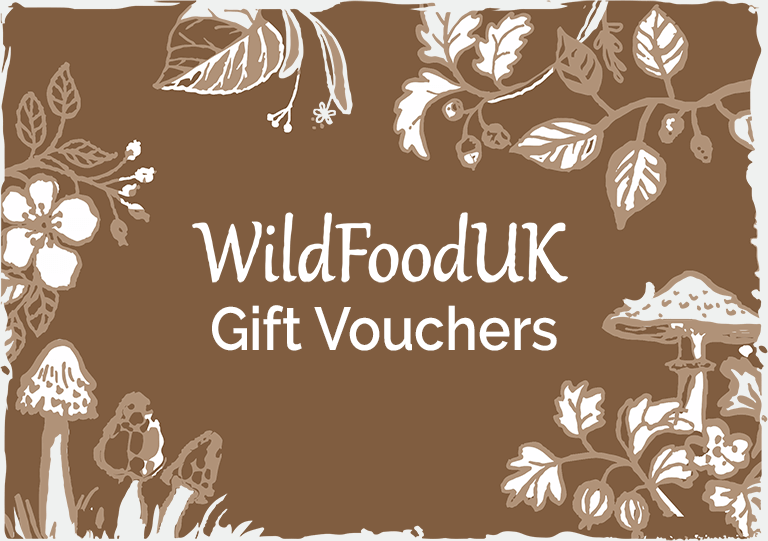 The young plants can be uprooted when found in profusion and treated as baby leeks or spring onion, the leaves and flowers can be used in salads or the leaves in soups or stews, the more mature onion like roots can be used as onion or garlic. 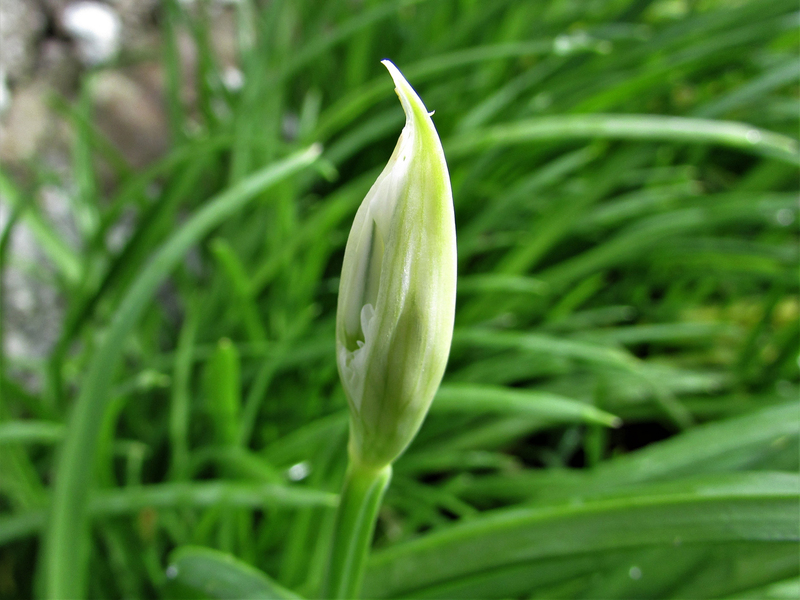 All the Alliums are good for high blood pressure in varying degrees. 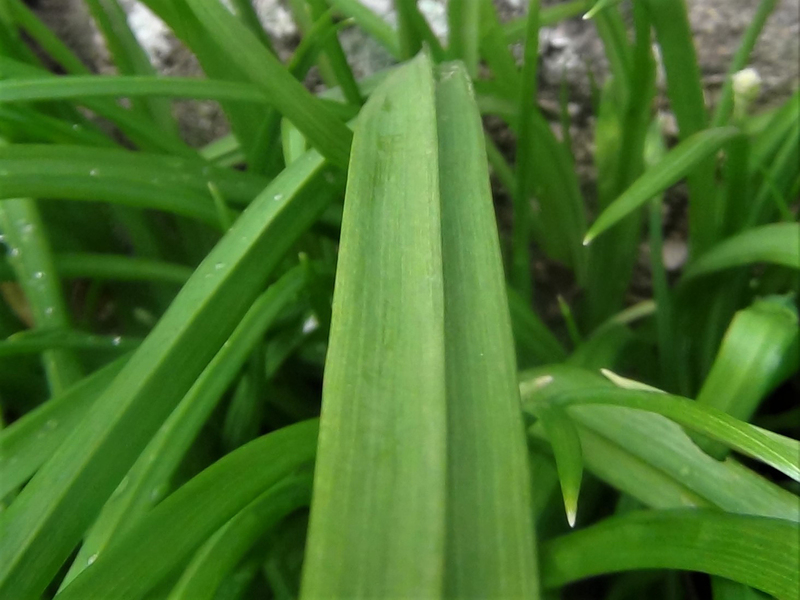 The juice has been reported as being used as a moth and other insect repellent.